Units on Wheels rentals require a 1 7/8″ ball. It has 2 units that are attached to a trailer. 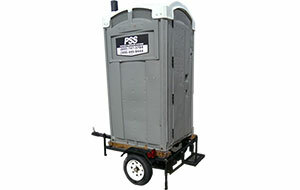 They are ideal for moving restrooms constantly.